Are you ready to finally feel more confident on the golf course? For a limited time, sign up for a $95 Swing Evaluation or Club Fitting at GOLFTEC, each normally $125. Simply submit your info so a local GOLFTEC Coach can contact you. Get Your Game On For Less! Our club fitting is a 60-minute session where we benchmark your current equipment, analyze the performance of new golf clubs and present customized recommendations. You can then choose to buy clubs directly from us. All golfers need a swing and clubs that help them succeed. Get yours while it's on sale. Fill out the form above and talk to a GOLFTEC Coach about your game! Start with a $95 Swing Evaluation! Welcome to your Swing Evaluation. Watch the video to see what to expect. Ongoing improvement. Truly understanding your game. A Coach and friend guiding you every step of the way. Hear what GOLFTEC students say about taking lessons and getting fit for clubs with us. Start with a $95 Club Fitting! Welcome to your club fitting, powered by TECFIT. Watch the video to see how GOLFTEC fitting is different. 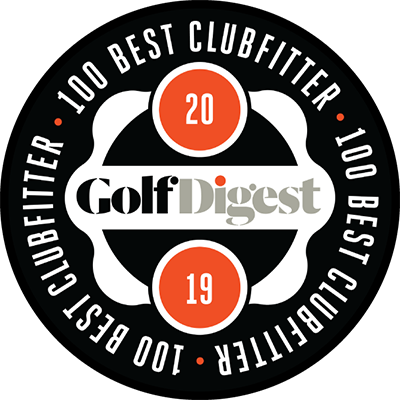 36 GOLFTEC Training Centers were awarded the prestigious honor of being on the Golf Digest list of ‘America’s 100 Best Clubfitters’ for 2019-20. The list is comprised of the nation’s top locations for custom club fitting. We work with top golf equipment manufacturers who provide a comprehensive range of clubs for all types of players. The right golf club customization can make a huge difference in your game. By playing clubs fitted by GOLFTEC, you’ll swing more confidently, knowing you have the right equipment for your game. Pricing and selection of services may vary by location. Contact a Coach about services offered in your area. Prices above shown in USD.